Fortune telling is a method of telling the future of a person and this is generally carried out though supernatural or mystical means. Sometimes, people use the term divination to imply the prediction of future. Divination is actually an effort of the fortune teller to gain information or insight about a particular situation or question. The diviners make use of a certain ritual for this purpose. Generally, the fortune tellers predict the future of people in return for money and they make use of different kinds of methods for this purpose. In this article you will find some of the techniques of predicting the future. - Tarot reading: This is the technique where the fortune reader makes use of a pack of tarot cards to read the future of a person. These cards have been connected with magic and mysticism but it was not until the 1700s and 1800s that the secret societies, occultists and mystics adopted the use tarot cards. - Cartomancy: It refers to the prediction of future by making using of cards. There are some experts who are of the opinion that people started using this technique of reading the future during the ancient Egyptian times. In the 18th-20th centuries, it was extremely popular to make use of the standard playing cards for the purpose of Cartomancy. In the countries where English was spoken, the Anglo-American poker playing cards were used for the purpose of predicting the future. On the other hand, it is to be noted that ever since the existence of tarot cards, the use of Cartomancy to predict the future has reduced significantly. - Crystallomancy: Crystallomancy is also referred to as crystal gazing and it is the technique of reading the future by making use of a crystal ball. People from all over the world are making of using crystal balls for the purpose of getting a glimpse of the future. Generally, the crystal balls that are used for this purpose is made from glass or crystal. They can also be made of stone, like the rock stone. 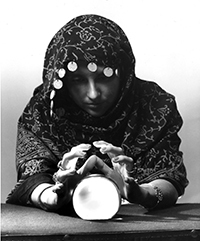 It is believed that the fortune teller will be able to tell a person about his future when she concentrates on the crystal ball. - Tasseography: This is the kind of divination technique that is carried out by interpreting the patterns of the tea leaves. In this method, a cup of tea is poured without making use of a strainer as the tea leaves needs to be poured into the cup too. Now the person who wants to know his future will have to drink the tea. The cup will then have to be shaken properly and any liquid that is remaining in the cup should be drained off. Now the diviner will take a look at the cup where only the leaves are present and then she will let find out the shape the leaves have created. The shape that is seen is then interpreted to tell the future of the drinker. - Horary astrology: Horary astrology is the technique of predicting the future where the astrologer will try to get an answer to a question by creating a horoscope for the precise period when the question was received and understood by the seer. The answer to the question asked is usually a ‘yes’ or ‘no’. On the other hand, Horary astrologer is usually more complicated with the motives of the questioner and other people involved. Hello I am interested in Tarot. I have a collection and use them only for myself since I do not have much experience in reading for someone else. My 3 kids got adopted not so long ago social workers took them away from me tormented me ripet my hart out left my hole family defasteaded and badly hart broken and social workers lied 2 me will i get my 3 kids back with me b4 there in there teens please i need 2 no my harts breaking im so lost with out them i cant cope wif my life if there not with me. ???????????? Will I soon be employed or land a career job and be able to maintain my home and child..